In your store's Admin area, go to the Products section Catalog > Products. When you open the section, it displays a sorted list of all products in the store. 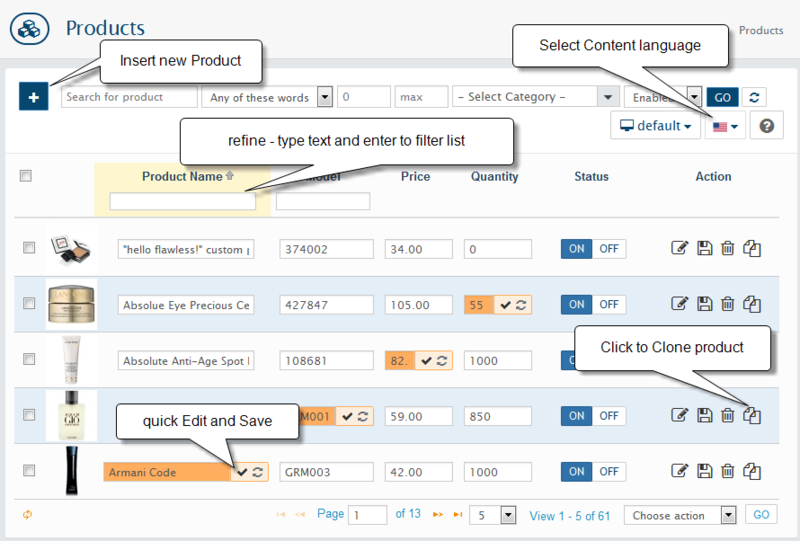 You are able to set custom list of products with search and refine options. Important: search brings result and grid can use refine for that result. Grid itself does not search anything.